The torrent sharing company BitTorrent has launched a 'Unlimited' file delivery service that lets you send videos, images etc. up to a terrabyte. That's cool. It was always a hurdle to send a 25MB and above attachment across to friends through the email. 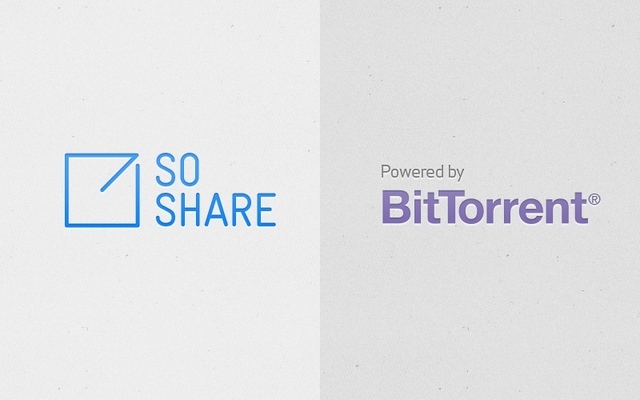 BitTorrent announced the launch of SoShare, a free file delivery service for Windows and Mac designed by the company’s engineers and based on the BitTorrent protocol. The firm says the new tool lets you send an unlimited amount of files, up to a terabyte at once. BitTorrent explains SoShare was created because the company’s coders, designers, and content creators have to deliver large files on a daily basis and there is no “media delivery service for people who work in media.” Email attachments have limits, as do syncing services and delivery services. I went ahead to the site to signup, it was simple and easy. After logging in, the SoShare downloaded a plugin, which lets me send files of unlimited size, to anybody across the world. The SoShare may not help with day to day emails, but it is surely as must have application, in case you are into videos, editing etc. given the restrictions place by Gmail and Yahoo on the file size. Also if you use a remote sharing website like Rapidshare, Mega, DivShare etc., it becomes more of a public display. SoShare is better that way, as it keeps the files private between sender and receiver. Though it is still in its infancy, it is better to login, download the plugin and save the site as a bookmark for later use. You can signup for the Application here at SoShare. It works on both Windows and Mac. Please post your comments/add me to your circle to get tech and current affairs info on the tee.